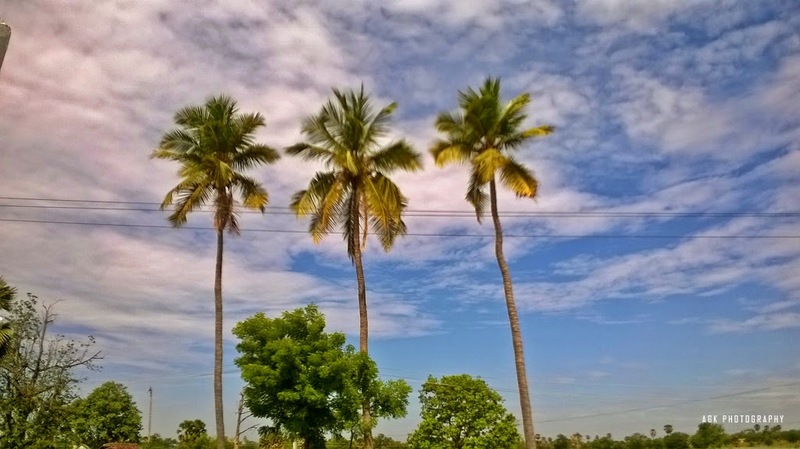 On the way to Bangalore from my home town Pala, the sky was looking really beautiful as we were passing through NH 47. Anytime when I see a clear blue sky with white clouds I take photos with the sky occupied most of the frame and it comes out good. This time I didnt bother to take out my SLR but captured these using my mobile. 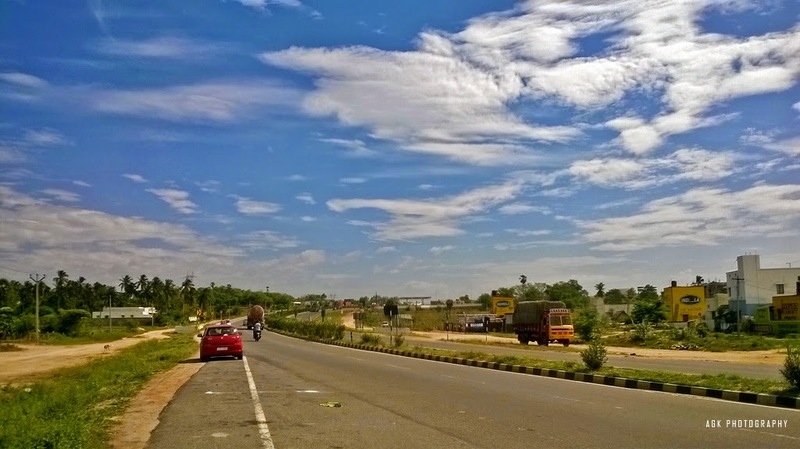 The high-way passes through Kerala and Tamil Nadu, but the road condition is pathetic in Kerala & on the other hand its very good in Tamil Nadu.